MCS Technical Products specialises in bringing the latest designs in energy efficient cooking solutions and innovative food safety technology to commercial kitchens, together with superior after sales support. The MCS umbrella covers prestigious and truly innovative top end brands including CookTek induction technology – the largest range of single phase and three phase induction cooktops on the market; the advanced Bluechef cooking engine/mixer, and; the wide range of Cooper-Atkins food safety solutions. “Induction will continue to evolve and move into new market sectors. As for the units themselves the electronics inside are also evolving and improving. CookTek will be launching its Generation IV units in the next 12 months which will take CookTek electronics, already recognised as among the best in the market, to a whole new level,” says Steve Snow, managing director of MCS Technical Products. As enthusiasm for induction cooking rockets due to its efficiency in operation, energy saving properties and environmental advantages, CookTek, brand leader in the induction foodservice market worldwide, brings significant advances to the UK foodservice industry, with custom made products that are designed to be ‘CookTek on the inside, and CookTek on the outside’. Brand new from MCS is the groundbreaking programmable CookTek StepXStep Autocook induction cooktop. A true innovation, the StepXStep Autocook allows input of 64 recipes, automatically controlling temperature and cook time. It takes the user through the recipe step by step via clear instructions on the digital front mounted display panel. Billed by MCS as ‘the next revolution in commercial induction cooking’, the brand new CookTek StepXStep AutoCook is available as countertop or drop-in units – countertop single hobs and twin back to front hobs with loadings of 2.5kW, 3 kW and 3.5kW per hob/ring. The Bluechef QR3.5 cooking engine manages to combine all the advantages of a cutter and blender with an innovative cooking mixer function. Basically, you can use the equipment as a perfect homogenizer capable of liquidising and refining cooked or raw food in any condition, with or without liquids. The patented cooking system relies on re-circulated steam injection which cooks all round and not just from the base thereby giving the highest efficiency of heat transmission, and eliminating any risk of burning contents on the base. 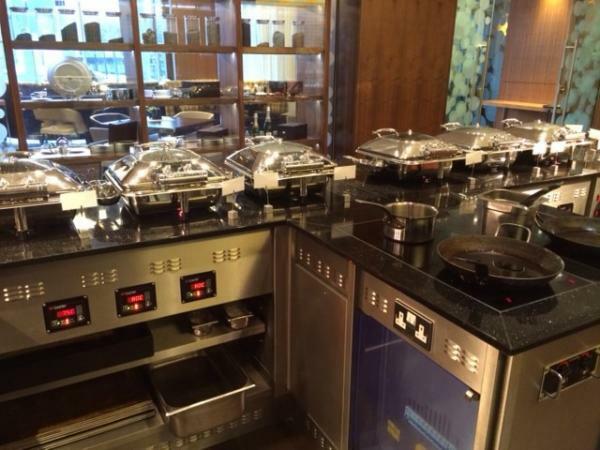 MCS also brings to market the induction-compatible Dolphin chafing dish range and induction heated food delivery solutions. A handy tool, ‘A caterer’s guide to understanding cookware’, which covers picking the right pans for induction has been compiled by MCS and is available on the company’s website www.mcstechproducts.co.uk.